Such a beautifully minimal design belies a true keyboard powerhouse. While Clavinet V is the most accurate, vital emulation of the original ever made, the power of physical modelling massively expands the scope of its sound. Nori Ubukata is a veteran synthesist and sound designer, and was involved in creating sounds for Yamaha, working on the original DX7. Inspired by the soundtrack for "A Clockwork Orange", Nori went on to become a professional musician, specializing in synths, and composed music for TV-CM. After his years at Yamaha, Nori moved to France where he works as a freelance musician, sound designer, and all-round synth guru. I played clavinet mainly as an "Electric Harpsichord", and often used it as a reference when designing FM synth sounds. Because I had to analyze and deconstruct the sound in so much detail, I know its tonal signature like the back of my hand. It's been a pleasure to see and hear Clavinet V come to life, becoming more and more accurate with each fresh test version. Now it's out in the open, it honestly feels like it captures the feeling of the original. It might sound selfish, but I always just try to create the sounds that I want to use; the sounds that appeal to me. Hopefully other people will love them too. I've always thought that a modelled Clavinet would also be able to recreate the sound of a Chapman Stick, too. I play the instrument, and know how similar the sounds can be. I actually created this sound purely by chance. I was trying to create something special, a sound no-one had heard before, a sound which could only be created by using the extra, bonus features of Clavinet V.
I knew exactly the kind of sound I wanted to create when I started working on the preset "Bassistik", I made a basic sound with no effects. To create depth, I started by adding chorus, and then I used the a flanger to give a funky color to this sound. It's a perfect preset for rhythm playing, and it gives your tracks maximum groove. Christian Laffite is a musician and sound designer based in south of France, the owner of preset site WEJAAM.com, who has a passion for synths and new technology. He has been involved in the sound design for a variety of products from many different manufacturers, including AAS, M-AUDIO, Dream, Suzuki, Arturia, Native instruments, Zoom, Misadigital, Sony, Madwaves, Samsung, Mixvibes, Philips and many more. He has also created sound design elements for TV, radio, and video games. The original Clavinet had a kind of guitar-like rythmic behaviour that made it unique. Clavinet V is very easy to use, I really like the possibility of adding effects like the Chorus pedals and Wah wah, and I love the amazing GUI that is faithful to the original model. You can also adjust the amplification with different parameters, adding so much realism to this mythical instrument. I’ve always loved the sound of a Clavinet. I discovered the sound of this instrument through Stevie Wonder, Bob Marley, Maze, and of course the magnificent George Duke. Appreciating all this music, I was easily inspired by these artists to recreate the legendary sound of funk by using the sound of the Phaser. I love its superb quality. Pierre Pfister is a software developer and keyboard specialist at Arturia. 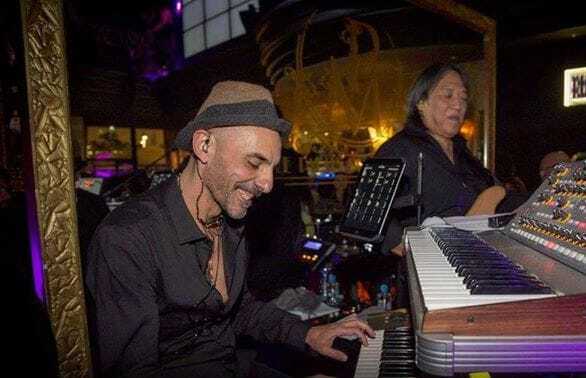 Coming from a classical piano background, his passions weave between classical, jazz, and house music, always emphasizing on the sound of the pianos and the electric keyboards which he loves to play live, either solo or in his band. In the last few years, he's been involved in the development and sound design for many core physically modelled Arturia instruments, including Piano V, Stage 73 V and Clavinet V.
What I really love about the clavinet is that it has such a unique and clearly identifiable sound to it, but it's still extremely versatile. Most people just think of "Superstition" when we say the word Clavinet, but it can also be much smoother as in the track Liquid Love by Roy Ayers, where the Clavinet has such a heart-warming tone. My main goal with the sound design I’ve made on this project was to get as close as possible to the real Clavinet I had sitting next to me. I spent weeks doing A/B testing in and tweaking our model to give the user the best feeling of hitting the keys of the real thing. All the details in the sound of this instruments, all the little quirks and weird noises that we have been analysing and reproducing inside our plugin have been in the centre of my work. The Funk AD preset is one of the few presets where I decided to add a personal touch to the faithful and clean sound of the clavinet I designed. Therefore, I just played for hours, recorded tracks, tweaked the Clavinet V, and I came up with this powerful and versatile sound. It’s basically the sound I use when I want to play some clavinet parts with my band. 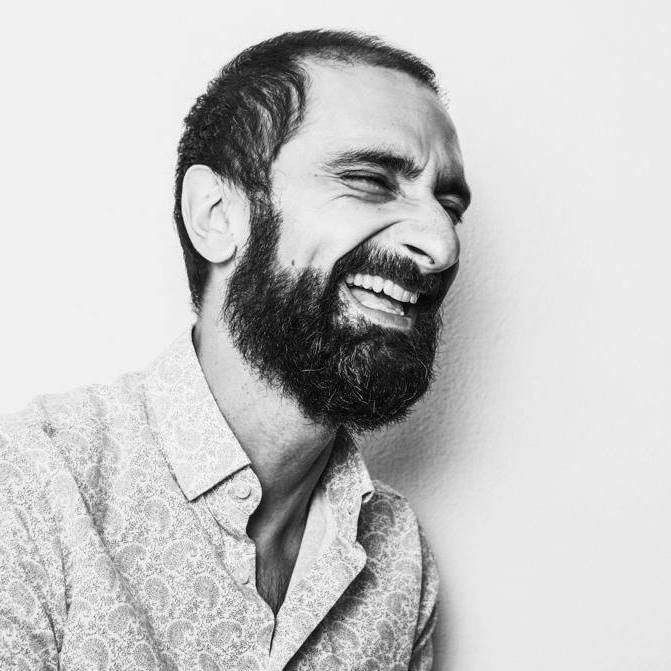 Paolo Apollo Negri is a performer and recording artist, organ player for Italian acid jazz act Link Quartet, and busy session player. A true vintage keyboard expert, he has played on over 300 albums, including 4 solo releases under his own name. One of the most experienced organ and classic keys players around, Negri has performed all over the world. The original Clavinet is one of the wildest and sexiest instruments ever created. The guitar string sound, the super fast keyboard and the possibility to shape the sound with stomp boxes are always been something irresistible for me. I was really surprised when I found all these aspects had been recreated in Clavinet V, making it so realistic and lively. The Arturia version is a pleasure to play and experiment with, without all the hassles of the original one. I started the sound design process by trying to replicate some of the Clavinet sounds I have used in my albums. I quickly found myself just having fun in discovering the possibilities of the Clavinet V. Part of the presets I made are based on the real instrument, and part of them are just made from scratch on the Clavinet V.
During the sound design stage, I was recording an album and I was looking for a good Clavinet sound to share the scene with an electric guitar on a 70s rock-style track. The auto-wah matched with a B–D sound, with no amp, resulted in what I was looking for. The B–D setting works in a different harmonic range than the guitar and the dynamic auto-wah gives a lot of feeling to your lines. The sound was created to play a riff in the lower octaves, but of course it can add a touch of “funk” to anything you want! Joining you in your journey of sonic discover, we have enlisted the aid of some of the most respected sound designers in the industry to create a huge number of presets to inspire your creativity, and realize the true potential of Clavinet V.